In years past, there were no regulations regarding how credit and debit card processing fees, such as interchange fees, could be applied when merchants processed credit cards. That all changed when the financial crisis of 2008 hit and regulators realized they had to do something to help resurrect the economy in any possible way. Enter the passage of the Dodd-Frank Wall Street Reform and Consumer Protection Act of 2010. Part of this regulatory reform that impacted merchants was the Durbin Amendment that went into effect on October 1, 2011, which related specifically to regulated and unregulated debit and prepaid cards. As a merchant, it’s important to know what this regulation has done in terms of merchant card processing compared to when it was unregulated. There are now two ratings for card-issuing banks related to their assets. An exempt bank has assets of more than $10 billion and is regulated. A non-exempt bank has assets of less than $10 billion and is non-regulated. For merchants, this means that there will be a different fee based on the type of issuing bank for that debit card. The unregulated debit for merchant card processing is 1.60 percent + $0.05 while the regulated debit fee is 0.05 percent + $0.21. The unregulated debit fee is dependent on variables like merchant category code, transaction size, the rates and fees charged by the processing companies, and whether it was a card present transaction or not. While there were caps on the fees that could be charged, these were set by the card networks and related organizations. The regulated debit fee listed above includes PIN, signature, and all transactions regardless of whether the card is present or not. The minimum amount for a credit card purchase is $10, so in using a Visa debit card, the potential interchange fees include regulated, small ticket, and PIN rates added. While the fees have come down in terms of the profit a bank can make off debit cards, including the elimination of small ticket discount rates by card networks, some merchants may actually still pay higher fees for any transaction under the $10 minimum. That’s why some merchants have begun posting signs that they have to charge the customer a fee if they make a purchase of less than $10 on their debit card. Many retailers can now enjoy fewer debit card swipe fees. The average has gone from $0.44 for debit card transactions valued around $38 to $0.24, which is nearly 45 percent less. For retailers that focus on debit card purchases that have a much smaller value than $38, they may now have higher costs related to transaction fees. Prior to the changes, merchants essentially paid smaller fees on smaller purchases and more on larger purchases. Banks are taking away other freebies like free business checking accounts because they must find other ways to make money outside of these fees on debit card processing. Just be prepared to do more research in trying to find the best banking solutions for your business. Know that you can request certain things from your processing partner like an interchange pricing model. Although you will save money on exempt transactions, this model does not provide any break on fees if you accept regulated debit cards, which is the most commonly used debit card. You can compare interchange rates between processors to find one that works with your cost expectations. You can negotiate with any processor, especially if your business is growing and your volume of processing is starting to increase. It may take some time and skill, but processors are always willing to listen to what you have to say. Just make sure you do your research first so your negotiations reflect that you know what you are talking about. 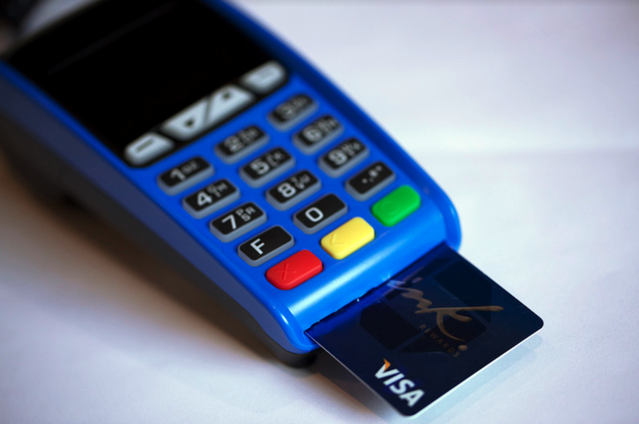 You may need to consider how you accept debit cards to get the best debit rates. This includes making sure you have the correct merchant code, which can significantly change what you pay in terms of credit interchange and unregulated debit cards. Consider looking at a processor that wants to work as your partner in providing honest and knowledgeable assistance that shows they want to help save you money. If you find a processor who is willing to offer advice on recommendations like changing pricing models and how you accept debit cards, then you might want to work with them. Those processors looking to establish long-term relationships rather than just raise their revenues understand that they can grow with you. With these things in mind, you will need to think about the types of payment methods you accept and how you currently process debit cards and assess your current or projected costs based on the volume. The changes are both positive and negative but overall are designed to create a much more competitive environment while keeping those processing fees in check. John Rampton is an entrepreneur, investor, online marketing guru and startup enthusiast. He is founder of the online invoicing company Due. John is best known as an entrepreneur and connector. He was recently named #3 on Top 50 Online Influencers in the World by Entrepreneur Magazine.